You’ve explored your options for window treatments and you still aren’t quite satisfied with what you see on the market. Standard window treatments can be a perfect addition to any room in your home, but if you want your shutters to reflect your unique style and functionality, look to customization for your window treatments. You will save time and money and receive the exact results that you’re hoping to achieve. If you’re still ensure that you’d like to invest in custom shutters, this list might change your mind. What are Window Treatments and Why Do I need them? Window treatments are blinds, shades, and coverings that add comfort and style to your home. You can choose from venetian blinds to roman roller blinds to enhance the look at a reasonable cost. Although you may drape a curtain or two over your windows and assume it’ll do the trick when it comes to proving shade, but pay attention to your cooling bill each month; you’ll be surprised just how much that little sunlight can cost. This goes without saying when trying to find that perfect addition to the ambiance. Your personality shows in every nook and cranny of your home. Why settle for generic shading and window treatments? When you’re ready to add personal flare to your windows, think of what you’d want for the exterior and interior and how they will add value to the look and feel of your home. Your bedroom can have lengthy wood shutters for your closet entry way while your living room features a double door shutter enclosure separating the patio from the home. With customized shutters, your treatments ideas are endless. Many homeowners trade their bulky closet doors for light-weight yet sturdy shutter doors. Custom made shutters go beyond the look of traditional shutters. The software and technology matter when choosing a company to customize your shutters. Personal style and customization go hand-in-hand when picking out the right window treatments. When you hire the professionals to handcraft your wood shutters, you can choose from a large pool of styles, textures, colors, and more. Should you want a specific shutter style, you can order right from a trusted company in the area to create and install them with a guaranteed warranty. You can trust that when you browse their selection versus an online store, you are getting an array of hand-picked and unique styles to choose from. For example, you can have café style shutters in your kitchen, for much less than you would if you were to buy them from a storefront and install them yourself. Maybe you’d like to install a safer window treatment in your child’s bedroom but add a unique, kid-friendly color and style to match. You are able to choose your design and color scheme as well as any safety features. Your toddler will not be able to open the shutter because of a securely customized safety feature that only a professional contractor can install. Discount blinds from your local hardware shop may not come with a warranty but when you hire a professional for your window treatment installation, you solidify a warranty should a problem arise. Plantation shutters can be slighted complicated to install without having the right tools. A trusted local specialist can provide the correct services and extend a warranty based on your custom order. Should you attempt to fix it after it has been installed, your warranty should cover the rest. The solid structure of customized wood and aluminum window treatments are built to last. When you hire a professional to build shutters for your windows, you are getting the most for your money. Whether you have a house full of children or are a proud owner of pets, your shutter will be made with higher quality materials that will prevent breaking or becoming hazardous to your loved ones. A faulty window treatment could severely damage your property or even worse, someone in your home. When you hire a professional to customize your window treatments, you can adjust the size to any width or height that you desire. Whether you want exterior, interior, or both, custom shutters are built to fit any shape and dimension. This lets you get as creative as you’d like with your window treatments. Perhaps your bathroom or kitchen has two different size windows, one being smaller than the other. You can design your plantation shutter to your desired look and style no matter how small. Your window treatments should always come with lining to secure your window to your shutter. Store-bought window treatments often come without lining, which is one major source of coverage when keeping out that hot mid-day sun. When you purchase a custom window treatment, you are guaranteed lining with every fit, exactly to your window. Don’t take the chance that your local hardware store may or may not know the details that surround window treatments. When you hire a professional to customize your window treatment you are guaranteed exceptional care and efficient service. 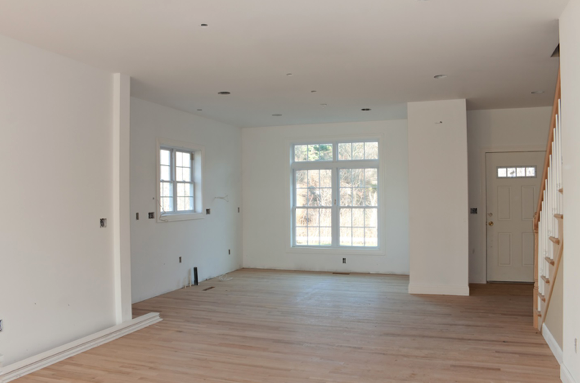 Your local professional will take necessary measurements before even recommending a window treatment. You would be taking a risk if you went to your local super store with concerns and questions in regards to measurements, styles, and quality. A trained professional knows what materials that will benefit you without thinking of the price but focusing on how they can help you achieve what you’re striving for. You are choosing to customize your window treatments for your home because you want to add a desired look and feel. An added bonus to creating customizable shutters is the full-coverage of privacy and saving on energy costs each month. You can expect that your window treatments will fit exactly to each window of your home, regardless of shape. Your air-conditioning costs will lower because of the coverage from the hottest part of the day while you are sleeping soundly at night knowing that even your shadow can’t escape the privacy of your home. No window is the same and should be treated differently. Especially if you are a parent with a sleepless child, you want to ensure that nap time is quiet and serene with little to no disruption. Installing a customized window treatment in your child’s room will give you a sense of security. He or she will not only get a sound sleep without outside light or noise inferences, but that they are secured in place for safety. Store-bought shades are not equipped to completely fill the window space, leaving cracks for drafts and excessive sunlight to creep in. And depending on where baby is sleeping, you wouldn’t want that sunlight to shine on their face. Last but never least; you are not only buying what you aesthetically want you are buying quality. Each type of customized shutter and window treatment is made differently and from heavy duty materials. They are built to last through hurricane season, heavy winds and rain, and through hot blaring sun. You choose quality over cost because of safety, even coverage throughout your room, and durability.